There was one character in it, however, one Merriaurum Grandiflora Larousse, aka “Merri”, that was mentioned and then mysteriously not mentioned again by the time the story ended. 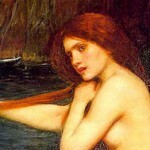 Now knowing Alethea like I do, there was no way she would have started a story line and simply forgotten to wrap it up. No, it had to be that she’d left that character with a cliffhanger and would surely pick back up with it in a future book. 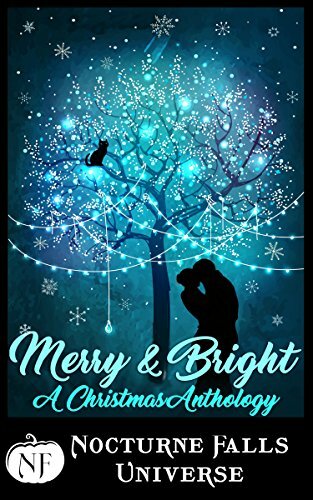 But just to be sure, I asked her about it and to my extreme delight, YES, she told me that not only had she planted that teaser of Merri’s on purpose, but that the story would be out very soon as part of the new Nocturne Falls Christmas anthology! Yay! I never should have doubted her. The story is called The Meddlesome Misadventures of Merri and Bright. Psst… below is the cover!!! Isn’t it gorgeous??? Go ahead, click on it! Here is a bit more from our convo this week about Alethea’s wonderful short stories. Be sure to read all the way down for the very cool cover and link to her second story out today! Take it away, Alethea! Since Carlene’s main question about cliffhangers got turned into an entire Writing Lecture about “Loose Threads in Complex Worldbuilding: Intentional or Not?” (Posted on my Patreon), I moved on to answer some other questions about short stories and anthologies. What got you started writing short stories? The first piece of fiction I ever sold was AlphaOops: The Day Z Went First. Prior to this, I had only published book and audiobook reviews in my local hometown free paper (for zero pay). My dream was always to write fantasy adventure novels—I had not planned to be a picture book writer AT ALL. So when Candlewick told me that it would be 2-3 years until AlphaOops saw the light of day, it lit a fire under me. I needed to plant my flag in science fiction and fantasy right away…and the best way to do that was to start shopping around all the short stories I had been writing on the side. AlphaOops The Day Z Went First debuted in 2006. That same year, “Small Magics” was published in Orson Scott Card’s Intergalactic Medicine Show and “Sunday” (which became the novel Enchanted) was published in Realms of Fantasy. By then, of course, I’d been bit by the short story bug, and my stories started to pop up on websites and in magazines and anthologies all over the place. You write in so many different genres—are there any common themes in all your various stories? When Dearest was published in 2015, I was stunned when a reviewer called it “the funniest book of the series so far.” I had expected “romantic,” but not “funniest.” Humor is so difficult for an author to communicate to a reader that I’ve heard writing instructors tell their students expressly NOT to write humor into their books. So humor was never something I’d really intended. And then I looked back at my body of work for the last ten years and realized…I COULD WRITE FUNNY. How about that? Now that I’m aware of this once-hidden talent, I’ve become less and less shy about playing it up. 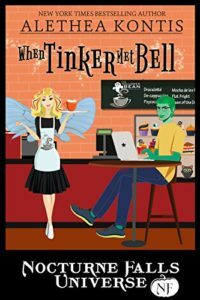 So, no matter what genre I’m writing in, you can bet that a story by Alethea Kontis will be fun, colorful, subversive, a little bit dark…and funny. Will you be part of any more anthologies on the horizon? Yes! Once Upon a Quest will be releasing in January of 2018. I’ve been in the two previous Once anthologies: Once Upon a Curse and Once Upon a Kiss. It’s a wonderful group of authors, and I’m honored to be invited back “once” again. My novelette in Once Upon a Kiss, “The Glass Mountain,” was meant to be an origin story for a romantic fairy tale rom-com I wanted to release this past summer, but I had some problems with the world building (like, I was trying to shove all of it into the first four chapters and it was NOT FUNNY AT ALL) and it had to go back to the drawing board. My story in Once Upon A Quest—an as-yet untitled goblin adventure based on the goblin tales of Hans Christian Andersen—is a legend from a different part of that same fairy tale world. What I’m hoping is that this goblin adventure will help me get back into that fairy tale world and write the novel I was meant to write in the first place! Fingers crossed! Thank you, Alethea! Our fingers and fins and flippers are all most certainly crossed for you! 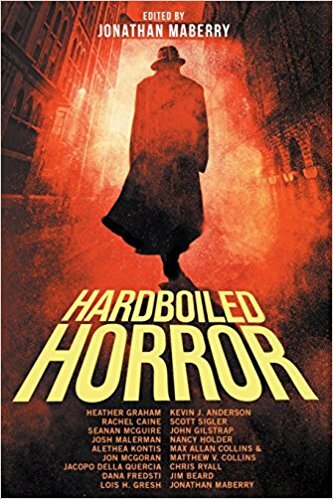 Friends, take a look at the outstanding cover for Grim Repo which is included in the Hardboiled Horror anthology. Just click the cover for more info. Congratulations, Alethea! And to our fishy friends, thanks so much for stopping by, xoxoxoxoxo. 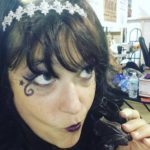 Prev Turkey Day, Comfort Food, and Why I’m Grateful Next NaNo Final Results: the Mermaid Edition! 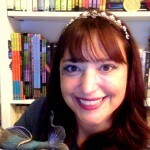 Carlene, thank you for the scoop on the latest Mermaid book release. Happy Release Day, Alethea! I’m wishing you many happy sales!!! You know how excited I am about your new releases. Thank YOU for letting me help show off your wonderful literary talents, my friend! !